I finally transplanted the sprouts from the plantings we did with the kids at school. 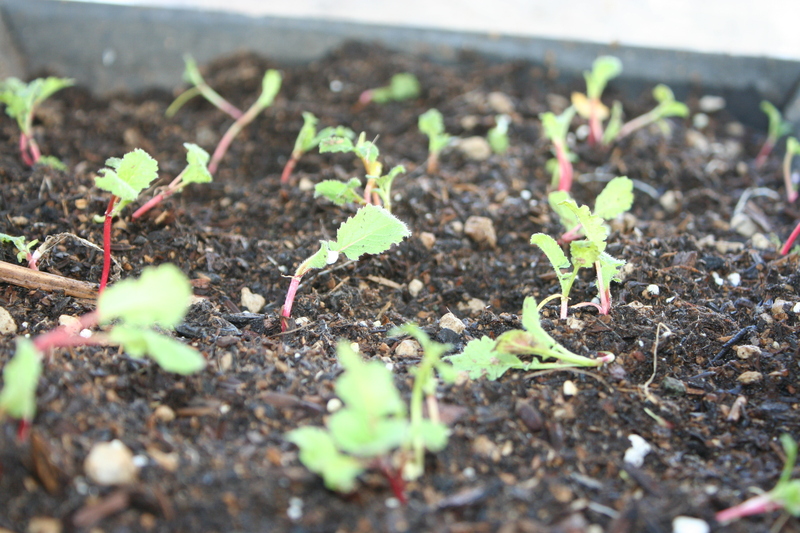 I believe these are the radishes the kids planted – the kids get a little excited and things get a little confusing as to what seeds were planted where- but I think by the appearance these are the radishes. 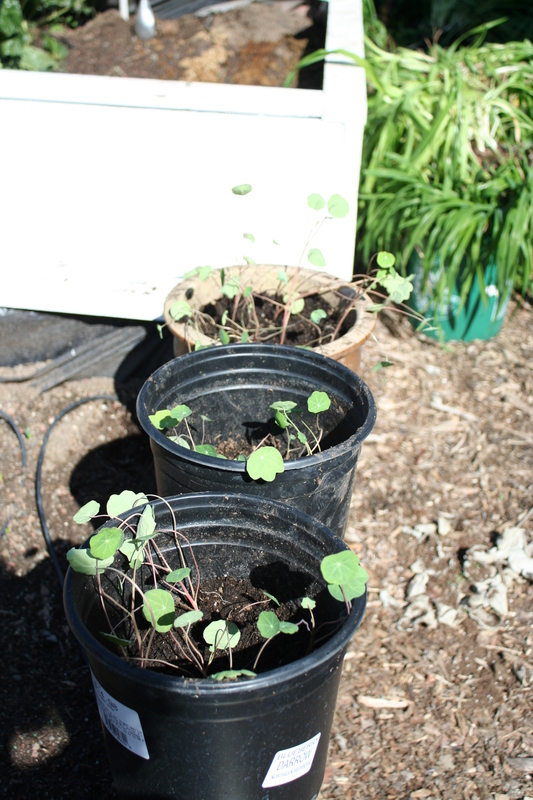 The nasturtiums are doing fantastic. 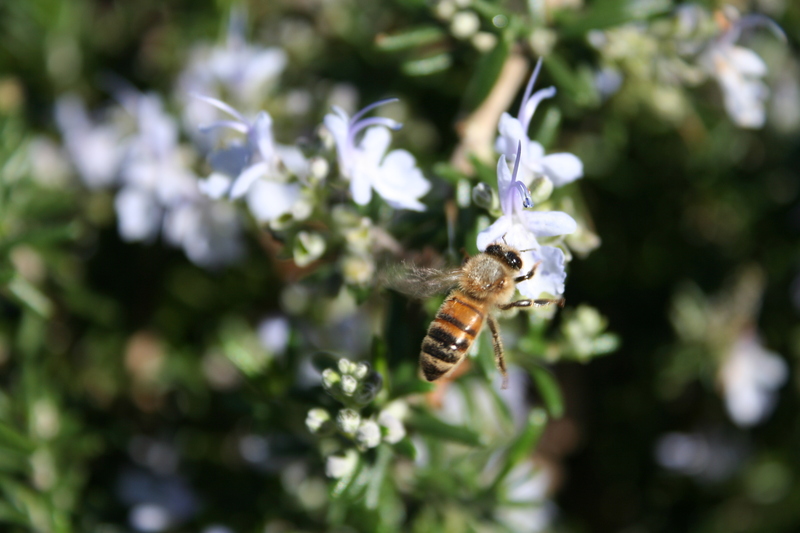 and look who came to visit the blooming rosemary – I was so excited to hear their buzzing while I was working in the garden over the weekend. Our yard is always a buzz in the summer with these busy little workers – I miss them over the winter – but my friends have returned. Welcome back dear little friends. If you haven’t read this book yet – it’s a must! I just read it and am so inspired! What an absolutely amazing story and idea. 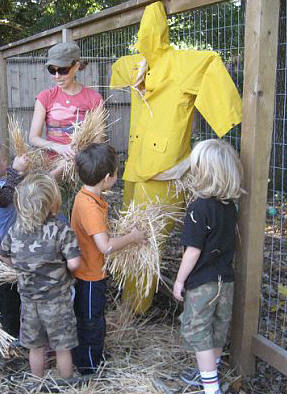 I am envisioning my new career or at least volunteer career at the kid’s school. 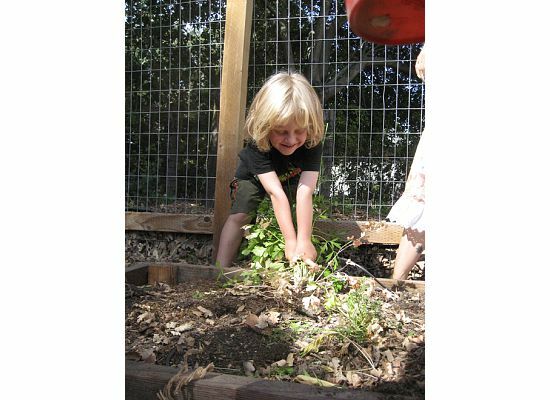 As you know I currently volunteer at the kid’s school gardening and doing garden related projects – but there is only so much you can do with kids 5 years old and younger. 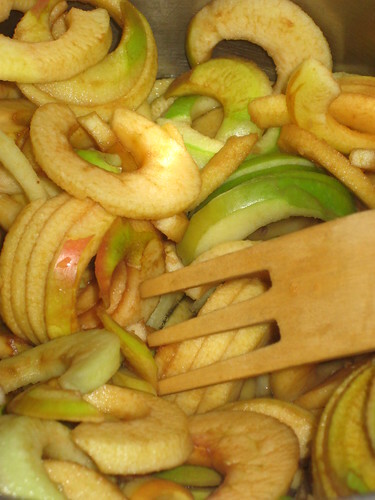 But the thought of working with older kids and incorporating cooking too – ohhhhh – that just sounds heavenly! So the cliff notes go like this…… Alice Waters – owner of Chez Pannise in Berkeley and whom I believe to be the originator of eating locally and seasonally or at least the person who made it chic, would walk by this middle school everyday and see this run down schoolyard and a school where some kids came from humble (I’m being generous in th term humble) homes. Alice approached the principal and proposed tearing up the one acre asphalt yard and turning it into a garden. The principal tried to call her bluff – but this amazing lady made it happen. 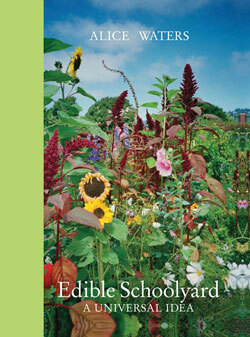 she had the asphalt torn out, the soil tilled, a cover crop planted and so began the Edible Schoolyard. The kids were involved in the planting and creating of the garden. Soon the dilapidated 1930’s kitchen was cleaned up, and turned back into a working kitchen. My brief summary of how it all began does not do the story nearly justice – you can get a history at this link or definitely pick up the book and give it a read (very easy read). Now the teachers in all of the subjects use the garden and kitchen for teaching their specific subject matter (math, history, reading/writing, etc). 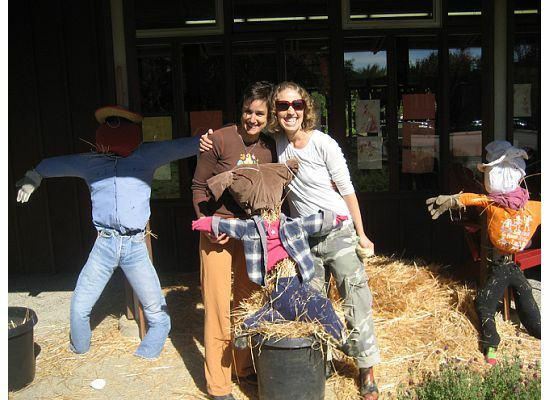 Most people wouldn’t think that you could teach/learn about math in a garden – but it works. 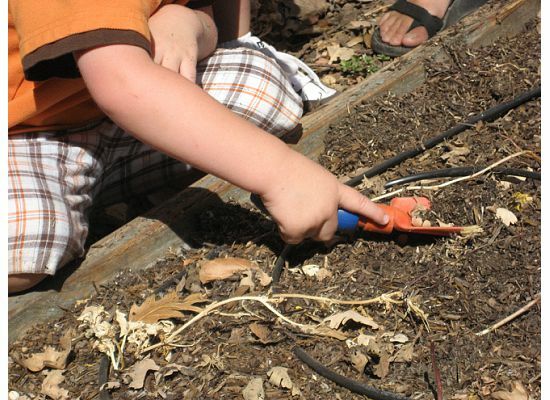 Not to mention, these kids are getting their hands dirty and learning about the earth and good, fresh food – something they may have never learned about. 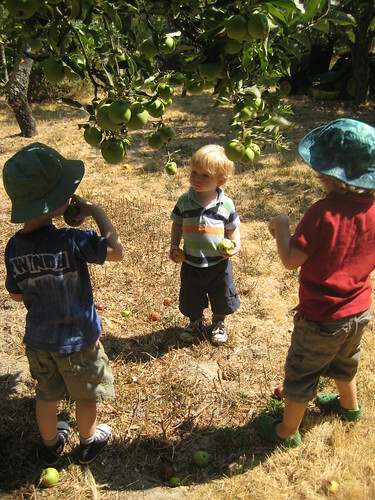 In a time when childhood obesity is a huge problem, this edible schoolyard will help to reverse the effects of years of over consumption, processed and fast foods have done to us. I am thrilled to be teaching my children about the earth and growing their own food and now I have the honor of passing this on to their fellow classmates. 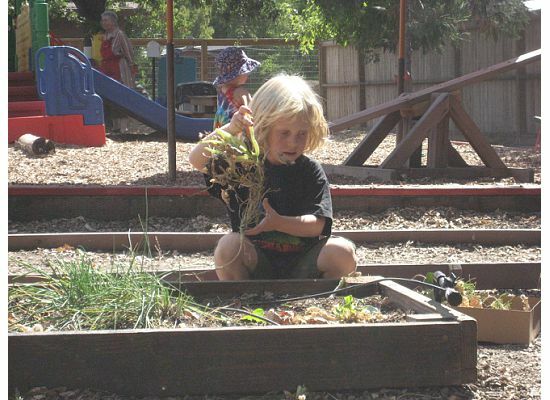 I would be so joyful to actually be able to help introduce/incorporate the edible schoolyard philosophy, principles and curriculum to their future schools (I will be looking in to how to make this happen). I encourage everyone to get out in the dirt with their kids (even if you don’t have kids – get out there). You don’t need a lot of space, you can do a container garden, you can grow your own herbs or lettuce – whatever it is – there is nothing better than going out into your garden and picking food you have grown and eating it. I also encourage you to approach your kid’s school principal and take the initiative to start your own garden. You’ll be amazed at how open administrators are to ideas – especially when there is volunteer work involved 😉 Get a group of parents together and make it happen – Alice did! Friday was one of my days to work at Ryder and Saige’s school to do gardening. I started this back in September, I go two times a month (if possible more) and I work on little projects. Sometimes we are out in the garden, other times we have done things in the classroom. This week we planted seeds. 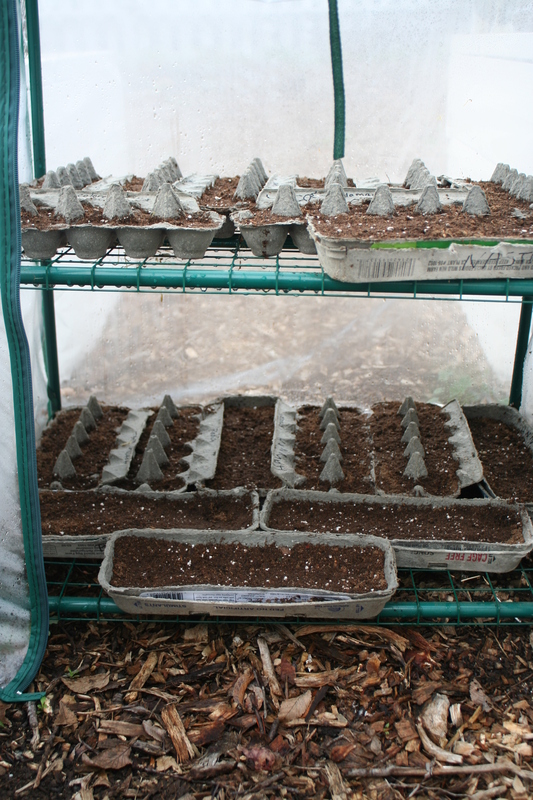 I have saved egg cartons for a couple months ( I think Doug is happy to have the stack gone – I always seem to have a stack of discarded items hanging around waiting for a project) and in these we planted our seeds. I bought a whole bunch of seeds for the kids, tomatoes, carrots, radishes, cucumbers, broccoli, lettuce, edamame, sugar snap peas, tri-colored beans, nasturtiums, and spinach. 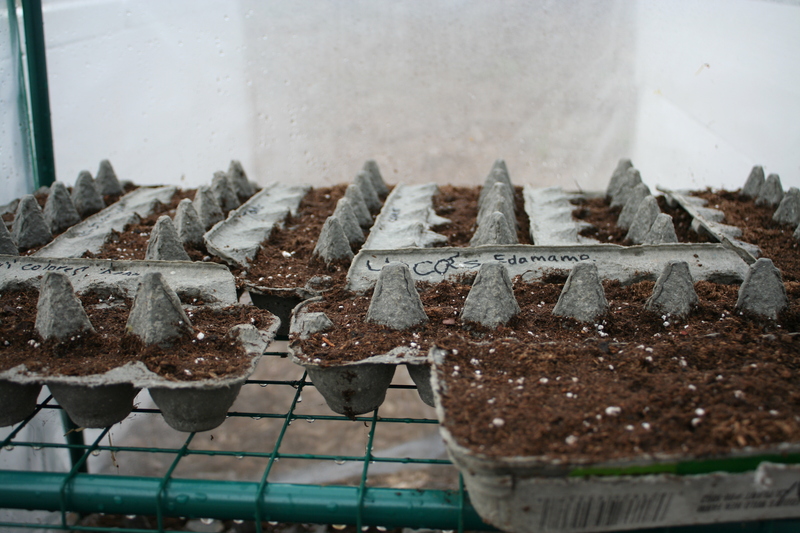 I tore the cartons in half so we could plant in the little egg slots and then also in the top. 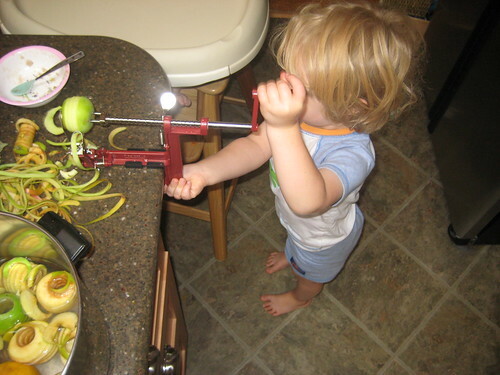 The big seeds are easy to work with – the very tiny seeds – not so much. Let me remind you these are kids ranging in age from 2 – 5. 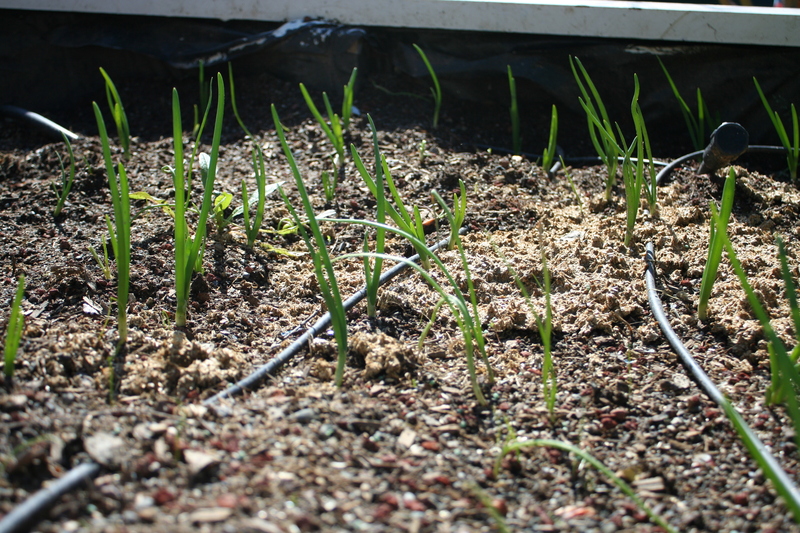 It went fairly smooth – had to move some seeds around in a few, but for the most part they did great. My goal is to get these growing to starts and then use these for planting in the actual garden this year – and if it goes really good, possibly have a mini plant sale on earth day to help raise money for future garden projects ( I have big hopes- but you gotta dream big!). I will be thrilled if we get even a couple plants to use in our garden. So I brought them home with me so I can keep a closer eye on them and put them in a mini greenhouse (until I can build a bigger one). 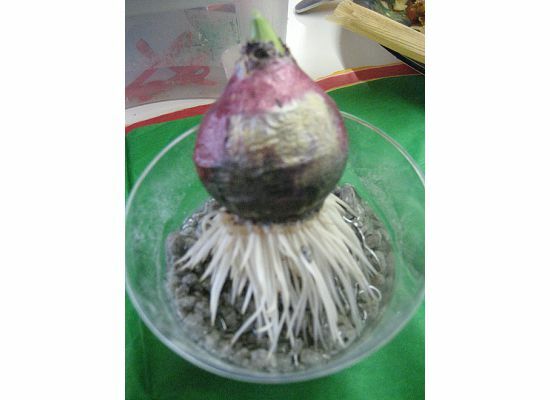 I know it’s really early but I figure if we lose some – then we still have time to replant and get them growing again. I love to hear all those little voices asking if they can help and to see how each one has their own technique. Some pile the soil into big mounds, others are very meticulous and have it completely even. Some make perfect little holes with their fingers, evenly spaced – others throw the seeds into one pile in the corner. My main goal was met, the kids got their hands dirty and we talked about the different vegetables, what their favorites were, how they liked to eat them and how the plants grow. It was a great day. After two hours of that, I went home and spent the next 3 hours cleaning up our garden – I was so jazzed from the energy of the children at school – they were so excited to get these planted and are so excited at the prospect of watching them grow – I couldn’t waste that energy. Let’s just say I was sore that day! 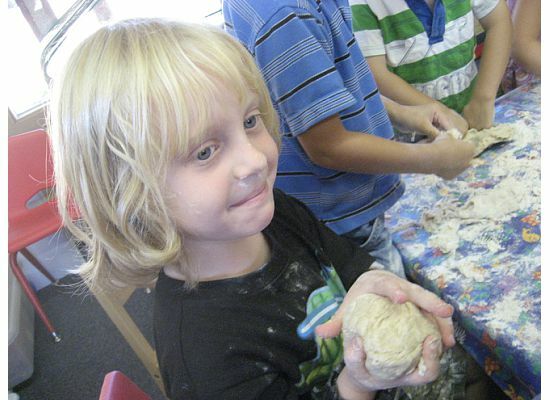 We didn’t use the dough they made (I brought some for eating that I made the night before) but the kids had fun making it a rolling it out and then kneading and kneading and kneading and kneading!!!!! 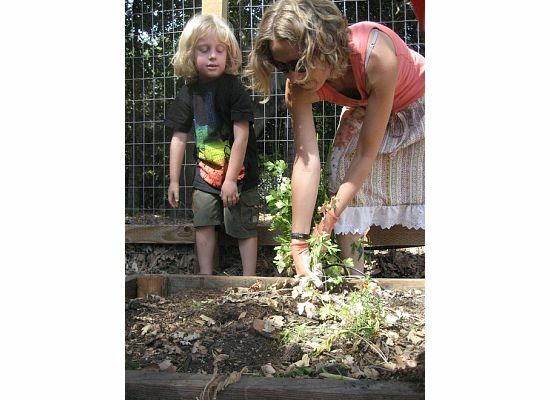 Do you have special projects you work on with your kids, either in the garden or not? What are some of your favorite veggies to plant? We have been spending a lot of time in our yard and garden lately. It’s that time of year to clean up from the winter, get the garden ready and just enjoying the beautiful weather and being outside in the warm sun. There are a couple downfalls – you can see the pollen hanging from our oak tree and there is a yellow haze in the air with all the pollen. Needless to say we are all riddled with allergies, but that won’t keep us inside. The other thing (which I don’t mind so much) are the hundreds of inch worms that are hanging on their little threads coming out of the trees. Don’t you love those dirty little hands! It’s kinda funny, you’ll be standing out there playing and the little buggers are just dropping down – kinda like they are repelling out of the trees- then they’ll be crawling all over you. Sometimes after I’m inside for an hour I’ll feel one come out from my shirt or something. The kids just love these little guys – they go crazy for them. So we have weeks of entertainment ahead! What are you finding in your yard?